Get your adventure off to an awesome start by learning a thing or two about Daoulas before you head off. If you wander 5 miles (8 kilometers) east of Plougastel-Daoulas, or 7 miles (11 kilometers) south of Landerneau, you'll end up in Daoulas. Roughly 2,000 people reside in this part of Finistere, so there are lots of opportunities to make some new friends. Daoulas combined package deals can be easily organized via Travelocity, and just wait until you see your savings. Just pick and choose from more than 400 airline partner companies and 665,000 lodgings. From airfares and accommodations to car rentals and activities, you've got the added security of 24/7 personal assistance via our Customer 1st Guarantee. Encountered an even better bargain? We'll meet the price and refund the difference^. All packages may be easily canceled or rescheduled with no nasty fees from our end. And so long as you get in fast, many accommodations don't charge fees either^. When should you plan a place to stay in Daoulas? Sooner rather than later! Get in early to nab the best of the 2 lodgings that can be booked through Travelocity. If you don't want to spend hours scouring the web for places to stay in Daoulas, don't stress. We've done all the work for you. 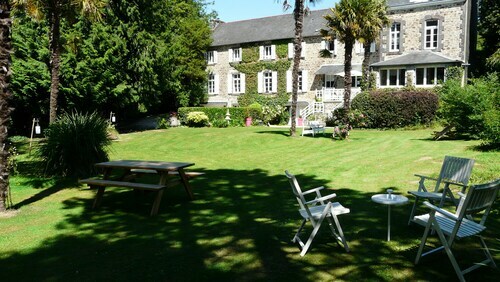 Our recommended accommodations here are the Hotel De Beauvoir and Le Relais de La Place. Where do you fly into for Daoulas? When you're organizing your upcoming Daoulas getaway, keep in mind that the nearest terminal, Brest - Brittany Airport (BES), is approximately 9 miles (14 kilometers) northwest of the downtown area. Book your flights, pack your bags and get ready for an once-in-a-lifetime adventure! Can I rent a car in Daoulas? No matter if you're going to Daoulas all by yourself or with some pals, it's always easier to have a car. Travelocity has many car rental options, so select one and start creating your road trip playlist right away! Many jetsetters collect a rental car right at Brest - Brittany Airport. Sixt and Avis are just a short stroll from the arrivals gate. Also consider Europcar and Enterprise. If you're searching for holy experiences, why not follow the advice of Shakespeare and "get thee to a nunnery"? You'll discover a more tranquil and reverent community behind the doors of Daoulas Abbey. Need more ideas? You don't have to dress in flowing robes or even be particularly spiritual to relish the calm that comes with spending a bit of time at Landevennec Abbey. But there's more. Whether you're trying to hit a hole-in-one or just in the mood for a couple of friendly rounds, you're sure to have a blast at Brest Iroise Golf Course. If you have checked out all the highlights in Daoulas and have an extra day or two to spare, don't worry. There are interesting tourist attractions right on your doorstep. Guengat is about 20 miles (32 kilometers) away. Travelers often come here to reach Cathedral of Saint Corentin of Quimper. Situated in Daoulas, this guesthouse is within a 10-minute walk of Armorique Natural Regional Park and Daoulas Abbey. Espace du Sapeur Pompier and Brest Iroise Golf Course are also within 9 mi (15 km). Situated in Daoulas, this property is within a 15-minute walk of Armorique Natural Regional Park and Daoulas Abbey. Espace du Sapeur Pompier and Brest Iroise Golf Course are also within 9 mi (15 km). 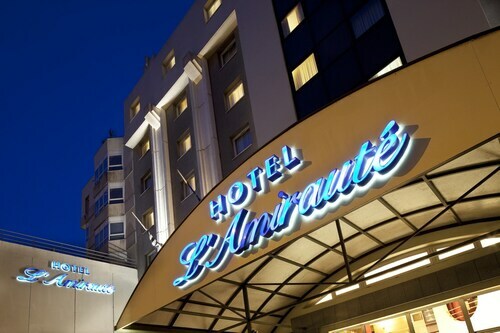 Situated in Brest, this hotel is within 1 mi (2 km) of Le Quartz, Francis-le Ble Stadium, and Clermont-Tonnerre Hospital. Museum of Fine Arts Brest and University of Western Brittany are also within 2 mi (3 km). Brest Station is 28 minutes by foot. 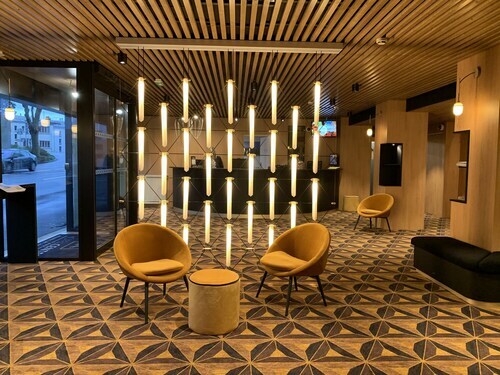 Situated in Brest, this hotel is within a 15-minute walk of Le Quartz, Clermont-Tonnerre Hospital, and Museum of Fine Arts Brest. Brest Castle and Musee National de la Marine are also within 1 mi (2 km). Brest Station is 9 minutes by foot. 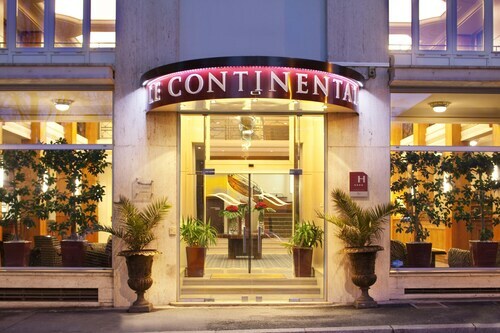 Located in the heart of Brest, this hotel is within a 5-minute walk of Le Quartz and Museum of Fine Arts Brest. Clermont-Tonnerre Hospital and Brest Castle are also within 15 minutes. Brest Station is 8 minutes by foot.